Another event in the awesome little town of Halstead, KS. Nathan and Sara were married on November 7th, 2010 at the Sacred Heart Chapel. Polka was definitely a hit for the evening and the Grand March kicked the evening off, followed by a great first dance by Nathan and Sara. It is always a pleasure working with Treasured Moments Photography, you guys are awesome! 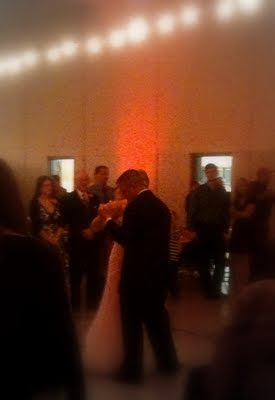 Nathan and Sara - I hope you two had a blast and are having an amazing honeymoon in Costa Rica!